Alicia Sylvester serves as Assistant Winemaker for Lancaster Estate. Before joining Foley Family Wines in 2015, Alicia worked with some of the most notable winemakers across the globe, including residencies in Argentina, Australia, Denmark, Italy, and South Africa. Throughout the year, Alicia will share what’s happening behind the scenes each month of the vintner’s calendar as part of our The Vintner's Calendar series. Racking is the process of removing the wine from barrel into tank. This allows for natural clarification (lees stay at bottom of barrel and are removed) and for blending of barrels, which creates uniformity within a lot. Uniform additions can also be made at this time, for example, adding SO2 to prevent oxidation. 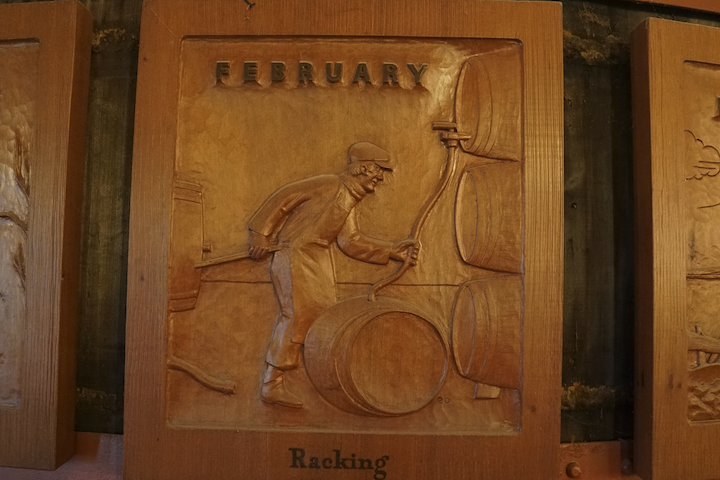 For Lancaster Estate, we have two types of racking that takes place in February. We rack our previous vintage (ie. 2017) and try to finalize that vintage’s blends. We also perform the initial rackings to any current vintage (ie. 2018) lots that have completed their secondary fermentation, malo-lactic fermentation (MLF). Lancaster Estate doesn’t use a commercial ML strain our MLF’s are much slower to finish. Lancaster also uses a slightly oxidative racking process during the early stages of the wine’s life which we call a “dirty splash rack.” This process includes the wine’s lees (dead/residual yeast and other particles that settle to the bottom of the barrel) with the racking, then the wine is passed through a screen and sump as it makes its way to the tank. This process helps soften & integrate our large tannins and blow off any reductive notes that developed during MLF. The Racking wand has a sight glass where you can see the wine as it exits the barrel. You can easily see when the wine becomes cloudy (you are incorporating lees) with the use of a flashlight. There is a foot at the bottom of the wand that is adjustable. This allows us to either keep the lees (dirty rack) or discard them (clean rack). Want to see the end result of Alicia and her team's work? Shop all Lancaster Estate wines, available now in the Foley Food & Wine Society Wine Shop.